Includes same-day admission to the Main Building and The Cloisters. There is no extra charge for entrance to special exhibitions. "The Met is a universal museum: every category of art in every known medium from every part of the world during every epoch of recorded time is represented here and thus available for contemplation or study -- not in isolation but in comparison with other times, other cultures, and other media." Visit the Met...see the world! With nearly two million works of art spanning more than 5,000 years, The Metropolitan Museum of Art is one of the world's largest and finest museums, presenting the best of human creativity from around the globe. A world of great art awaits you at the Met-NYC's most-visited attraction. The Museum's renowned global collections and some 30 special exhibitions a year are free with your admission. Plus, enjoy dining facilities, the Audio Guide, and shopping at the Met Store. 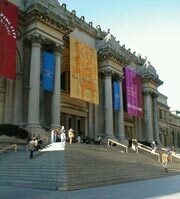 There are several large museums in New York but the Metropolitan Museum of Art is truly gigantic. From the sidewalk on Fifth Avenue, the Met, with its tall columns and windows, immense stairways and water fountains, looks like it could be an emperor's palace. The size and diversity of the artwork on display is even more impressive; the museum's collection contains works from every part of the world, spanning the Stone Age to the twentieth century. The Egyptian Art gallery includes a whole temple that was shipped to America as a gift. Getting at least a little bit lost at the Met is inevitable. Floor plans help, but only so much. Despite their seeming complexity, though, the galleries are arranged to help you navigate through with ease. If you get mixed up, there are always museum personnel nearby who can give you directions If you're planning on visiting the Met and another museum on Museum Mile in one trip, you'll have to prioritize; going through the entire Met is a full day (or two) affair. 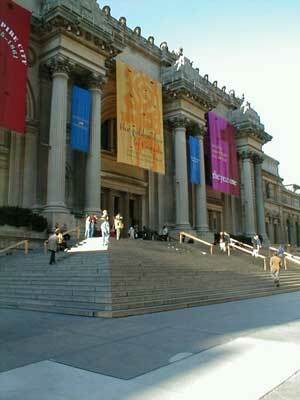 The Met is a must see when visiting New York and is always worth another trip. The Museum participates in several programs that include free admission for students. All New York City public school students, along with students from Bard Graduate Center, Barnard College, Columbia University, and the Institute of Fine Arts at New York University, may visit the Museum for free. Please check with your school administrator to see if your student I.D. allows free admission to the Museum.